After days of holding steady between $6,400 and $6,700, Bitcoin is finally making a run for the $7,000 price level. The top-ranked cryptocurrency headlines a substantial price recovery that has the total market capitalization climb to $225 billion. 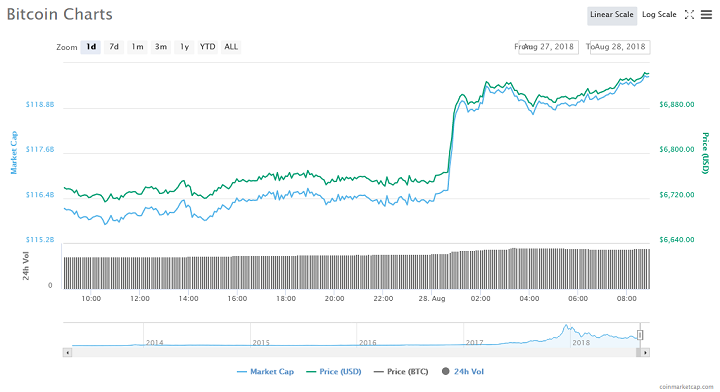 Bitcoin rose by more than $200 on Tuesday (August 28, 2018), reaching $6,916 as of 7 am UTC. The sudden climb occurred at 12 am UTC as BTC rose from $6,766 to above $6,900 in a matter of 35 minutes. 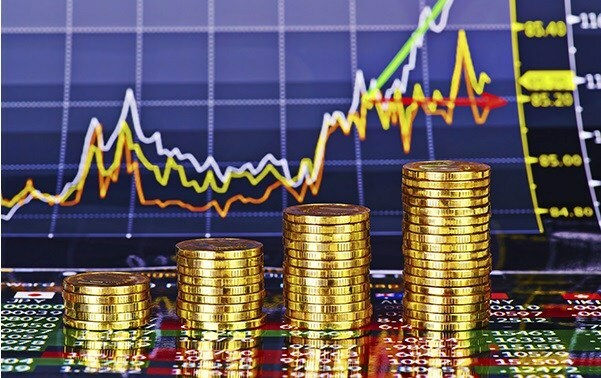 At press time, BTC was trading at $6,935 having risen by more than three percent in the last 24 hours. The top-ranked cryptocurrency is currently at its highest price since August 7, right before the start of a series of declines that eroded most of the gains accrued in July. Apart from BTC, the rest of cryptocurrency appears to be performing well. ETH and XRP have both soared significantly, but MIOTA is the best performing top-ten coin, rising by more than 15 percent over the last 24 hours. Outside of the top ten, NEO is up by nine percent, VeChain by 13 percent, DASH by 21 percent. More than 80 percent of the top 100 coins have experienced positive gains in the last 24 hours in what seems like a positive start to the week for the bulls. A few days ago, Tom Lee predicted that BTC could end 2018 with a new ATH. Speaking to CNBC, Lee highlighted the correlation between hedge fund investment, emerging markets, and the price of BTC. According to Lee, signs point to an aggressive price climb for the top-ranked cryptocurrency. Do you think the current price rally points to a significant market recovery? What is your end of year BTC price forecast? Keep the conversation going in the comment section below.